Thank You to all of our Team Sponsors! Trek is the UC Irvine Triathlon team’s official bicycle sponsor. The company provides the team with deals on bikes, equipment, and components. No one in the world has done more to refine and redefine the experience of riding a bicycle than the engineers and designers at Trek. An innovator in the field, pushing the boundaries of aerodynamic race machines, creating new standards of safety for riders, and analyzing both the mechanical parts, and the dynamics of bicycle riding for all of their products. We absolutely love their bikes! Check them out here. As the team’s official wetsuit sponsor, Roka provides high-quality endurance swim wetsuits for athletes of all levels, as well as a variety of other triathlon equipment including swim equipment, sunglasses, cycling kits, running clothes, and more. We love their gear! Check out their website here. Lululemon is the UCI Triathlon team’s amazing apparel sponsor. They offer durable and comftorable athletic apparel for women and men. The team’s custom running shirts, and jackets are all made by Lululemon. Lululemon works to empower us here at the UCI Tri team to reach our full potential through providing the right tools and resources, and encouraging us to reach our goals. We love their clothes! Check out their website here. Working closely with everyone on the team, Two Wheels One Planet provides professional bike maintenance, parts, repairs and assistance to all UCITriathletes. Two Weels one Planet employees are experts in fitting and fixing any bike, be it a cruiser or a professional level bicycle. We love visiting their shop in Costa Mesa! Check out their website here. Zealios makes performance body and hair care products including sunscreen, chamois cream, swim shampoo, conditioner and body wash. using high-quality, long-lasting ingredients. The UCI triathletes trust Zealios to perform during training and on race day so that we can focus on our performance. The OC Tri Series hosts 2 races in Orange County with beautiful scenic views for their bike and run courses. Those races are the OC Triathlon and Duathon and the Pacific Coast Triathlon and Duathon. They have been a great partner in helping UCI with training and team organization. Rudy Project designs and manufactures performance-oriented helmets, sunglasses, goggles and Rx/prescription eyewear solutions by applying advanced science, cutting-edge technology and innovative aesthetics. Designed and crafted in Italy since 1985, Rudy Project has grown quickly as a premier brand throughout North America. They have been designated the Official Helmet of IRONMAN® for North America. Check them out here. Hammer Nutrition is an endurance sports nutrition company founded in 1987 by Brian Frank. 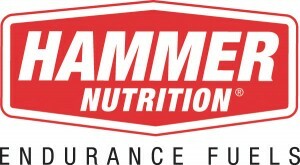 Hammer Nutrition provides unparalleled products, knowledge and service to health conscious athletes all over the world. Over the years the product line has grown from fuels & supplements to now include clothing, body care products, EMS units, accessories and more. You can find all their great products here. Simply put, we believe that everyone deserves the joy of swimming. We work hard to make water safety and competitive swimming more accessible. The storied sense of adventure and draw to the water is in our blood. Located in the heart of the Bay Area, we are inspired by the nearby oceans, lunchtime swims and a widespread culture of innovation. Running Warehouse helps supply our team with top-notch running equipment. We love their shoes! Check out their website here.